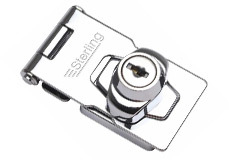 This hasp includes an integrated lock so you don't need to worry about a separate padlock. Please note that it is not a high security device and would be suitable for low security applications like lockers, boxes and cupboards. 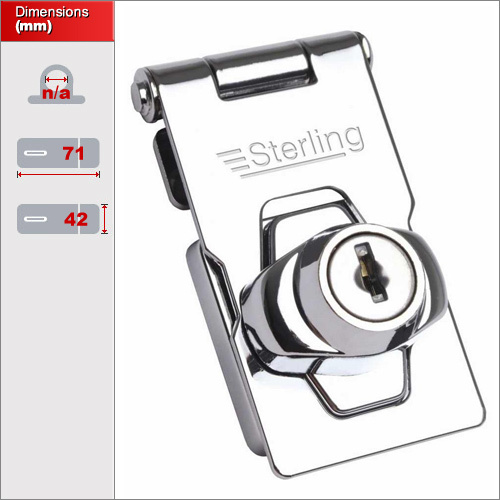 It does have protective chrome plating but it would not be ideal for continuous outdoor use. Each unit is supplied complete with fixings and 2 keys.